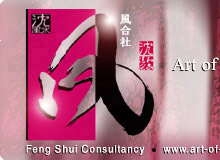 Feng Shui tips and remedy 2019 for wealth, career and romance luck. Try this at home, bedroom and office. Increase Wealth, career, business luck and more. 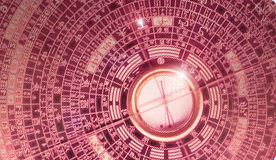 Feng Shui setting will work in no way, if you do not suppress bad energy at all locations. This is the wealth sector for 2019. If your door or room is located in this area, use it often to activate the auspicious star. Alternatively, you can place 4 /5 stalks for lucky bamboo in this area to promote good financial growth. If you have a room or maindoor at this sector of your house, use it often to improve both career and social status. You can add a winchimes at the area to enhance the yearly suspiciousness. Southwest sector is associated with power, authority, reputation and status. If your door is located at the Southwest area, use it often to improve both your career and personal luck. In addition, you can place items made of ceramic or earth element at this sector of the house. Location that will bring gossip, accidents, financial losses, burglary and robbery. You may place a bowl of water / salt water to weaken its negative force and at the same time, enhance personal luck especially for sales oriented individuals. This location indicates accidents, illness and all kinds of bad luck. Please take extra precaution if you're sleeping in this room. Decorate this area with "Live" metal objects made of copper, brass (Special Black Metal Cure) with a glass of water to suppress its negative energy. Notes: The metal items must be black in colour. Example Black copper Bell. Decorate the area with a glass of water in your bedroom / study room to enhance both romance & academic endeavors. Besides water, you can use 4 / 5 stalks of lucky bamboo for the same effect. Sector that is associated with human conflict and poor relationship. In order to achieve harmony and weaken the disturbance forces, you can place a Standing Lamp / red coloured items that represents "Fire" at this area. If your house is affected by major yearly afflictions - 3 killing, Tai Sui & Sui Po, do not attempt any groundbreaking or renovation especially moving into a new house / office without proper advice. 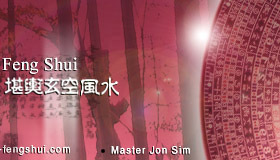 When the afflicted qi is disturbed, it will bring misfortunes like financial loss, injury and sickness. Wishing you success and may your days be filled with happiness and good health throughout the year. For date and time selection for renovation and groundbreaking activities in year 2019 please complete our Auspicious Date Selection Online Form.